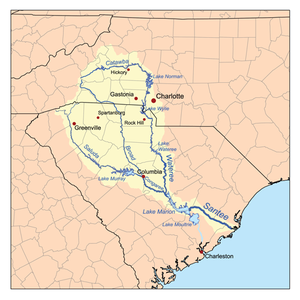 This is a list of rivers in the U.S. state of North Carolina. This list is arranged by drainage basin, with respective tributaries alphabetically indented under each larger stream's name. This page was last edited on 12 September 2018, at 19:41 (UTC).